In stock this week are home grown pie pumpkins; Gala, MacIntosh, Cortland & Honeycrisp apples; Concord & Niagara grapes, and more. Goodman’s Farm Market is located at 2227 Cayuga Dr. Ext., Niagara Falls, NY. The Succulent Show, a visitor favorite, will be held at the Buffalo and Erie County Botanical Gardens, 2655 South Park Avenue, Buffalo. This show will feature many different types of cacti and succulents, including Echeverias, Aeoniums and Euphorbias, displayed in unique ways. New designs this year will include some whimsical surprises. Admission is $9 for adults, $8 for seniors & students, $5 for children ages 3-12 and free for Botanical Gardens members & children under 3. Adult Watercolor Classes will be held every Monday in September at the Buffalo and Erie County Botanical Gardens, 2655 South Park Avenue, Buffalo. You don’t need a smock or a beret, both novice and veteran artists are welcome! Taught by Joan Saba, professional artist and teacher. For Botanical Gardens members, the cost is $58 per series or $16 per class; for non-members, the cost is $64 per series or $17 per class. Go to www.buffalogardens.com for more info or call 827-1584 ext. 291. Gardening classes will be held at Cornell Cooperative Extension, 21 South Grove Street, East Aurora. On Sept. 24 Marty Yagle will speak on “Planning Now for Your 2014 Garden.” The cost is $15 per class. Send a check made out to MG of Erie County to CUCE Erie County, ATTN: Carol Ann Harlos, 21 South Grove St., East Aurora NY 14052. The Amherst Garden Club will meet at St. John Lutheran Church, 6540 Main Street, Williamsville. A business meeting will take place at 10 a.m. followed by two presentations titled “Success with African Violets” and “Wintering Over Geraniums.” Guests and prospective members invited. Adult drawing classes will be held at the Buffalo and Erie County Botanical Gardens, 2655 South Park Avenue, Buffalo. You don’t need much more than paper, pencils and an eraser to create beautiful drawings under the tutelage of Joan Saba, professional artist and teacher. All skill levels are welcome! For Botanical Gardens members, the cost is $58 per series or $16 per class; for non-members, the cost is $64 per series or $17 per class. For more information, go to the Botanical Gardens website or call 827-1584, ext. 291. Gentle hatha yoga, designed for all ages and fitness levels, will be led by Leanne Oldenbrook from Crescent Moon Yoga at the Buffalo and Erie County Botanical Gardens, 2655 South Park Avenue, Buffalo. The sessions are free for eligible BlueCross BlueShield members or $100 per 10-week session or $15 for each individual class. To register for one or all sessions, contact Leanne Oldenbrook at (716) 864-1194, email crescmnyoga@yahoo.com or go to the Botanical Gardens website. The Town and Country Garden Club will hold a fundraiser called Fall, Flowers and Fun at the Harlem Road Community Center, 4255 Harlem Road, Snyder. Tim Walter of Flowers by Johnny will create designs having an autumn theme. The event will include theme baskets, a flower boutique, door prizes and refreshments. Tickets are $8 presale or $9 at the door. For more information, contact Judy Tucholski-Zon at 836-2573. Join the Buffalo and Erie County Botanical Gardens, 2655 South Park Avenue, Buffalo, for an evening of gratitude and friendship surrounded by the beauty of the Botanical Gardens. The cocktail reception with live music by Babik will include both silent and basket auctions as well as a complimentary open bar. Sit-down dinner to follow. Individual tickets are $150 with group pricing also available. You can buy tickets online. Make a spooky indoor fairy garden with a Halloween theme in a class at Mischler’s Florist and Greenhouses, 118 South Forest Rd., Williamsville. Classes will be held at 10 a.m. and 2 p.m. both days. The fee is $20 and you get a 12-inch bowl, soil, a variety of plants, mulch to dress the top and a fairy. Participants also get a 10 percent discount off items in the Fairy Nook. You can also bring your own decorations. Classes are limited to 15 participants each. To register, call Mischler’s at 632-1290. The classes are being held in conjunction with Oktoberfest sponsored by the Williamsville Business Association. Food for Thought: Safe and Green for the Future” is the theme for the Western New York Environmental Summit to be held in the Wick Student Center of Daemen College, 4380 Main Street, Amherst. The event is free and will include presentations, vendors, exhibits, tours of LEED (Leadership in Energy & Environmental Design) energy efficient buildings on campus. You can also drop off your old electronics to be recycled. Make a spooky indoor fairy garden with a Halloween theme in a class at Mischler’s Florist and Greenhouses, 118 South Forest Rd., Williamsville. Classes will be held at 10 a.m. and 2 p.m. The fee is $20 and you get a 12-inch bowl, soil, a variety of plants, mulch to dress the top and a fairy. Participants also get a 10 percent discount off items in the Fairy Nook. You can also bring your own decorations. Classes are limited to 15 participants each. To register, call Mischler’s at 632-1290. The classes are being held in conjunction with Oktoberfest sponsored by the Williamsville Business Association. Build your own scarecrow at Mischler’s– free! Take an old shirt and pair of pants and Mischler’s will provide the other materials and the help you need to build your own scarecrow at Mischler’s Florist and Greenhouses, 118 South Forest Rd., Williamsville. This free event is being held in conjunction with Oktoberfest in the Village. Master Gardeners will test soil and answer questions at the Buffalo and Erie County Botanical Gardens, 2655 South Park Avenue, Buffalo. Soil testing will be done while you wait. For a fee of $5, you may bring up to three different samples. Soil remediation strategies will be suggested based on the findings. Proceeds from the soil testing benefit the Cornell Cooperative Extension Master Gardeners of Erie County. Please call 827-1584, ext. 291 for information on how to take your soil samples. 10:30-11 a.m. and 11-11:30 a.m. Kids can participate in a hands-on activity with a nutrition or food theme at the indoor Wegmans Family Garden in the Buffalo and Erie County Botanical Gardens, 2655 South Park Avenue, Buffalo. The activities are appropriate for children ages 4 to 10. This week the activity will be leaf prints. Admission to the Wegmans Family Garden is included with paid admission and with membership. Jamestown. Participants will use leaves collected in Audubon’s Ted Grisez Arboretum to make two monoprints: a wall hanging on paper and a scarf. The fee is $35 for the public and $30 for Friends of the Nature Center. Reservations with payment are required by Friday, September 20. Call (716) 569-2345 or register online. Join Grassroots Gardens of Buffalo and the Urban Roots Community Garden Center Cooperative, 428 Rhode Island Street, Buffalo, for their 2013 Fall Workshop Series. This week’s Bulb Workshop will be presented by David Clark. Workshops are free to participants, however registration is required. To register, please call 783-9653 or e-mail programs@grassrootsgardens.org. Visit http://www.grassrootsgardens.org for more information. Join horticulturist David Clark for entertaining garden education in the Administration Building at the Buffalo and Erie County Botanical Gardens, 2655 South Park Avenue, Buffalo. David has a wealth of knowledge and is able to convey his subject with infectious enthusiasm. These classes are for those who just want to know more than garden basics. Series cost is $105 for Botanical Garden members and $130 for non-members; individual classes are $20 for Botanical Garden members and $25 for non-members. Go to www.buffalogardens.com for more info or call 827-1584, ext. 291. Kick off the fall season by spending a day in the woods at the Reinstein Woods Nature Preserve & Environmental Education Center, 93 Honorine Drive, Depew. Enjoy crafts for kids, live animals, hands-on activities, food, live music by Mama Earth and more! Visit their website for more information. No registration required for this event. Join Grassroots Gardens of Buffalo and the Urban Roots Community Garden Center Cooperative at the Pelion Community Garden, 206 Best Street, Buffalo, for their 2013 Fall Workshop Series. This week’s Putting Your Garden to Bed Workshop will be presented by Caesandra Seawell. Workshops are free to participants, however registration is required. To register, please call 783-9653 or e-mail programs@grassrootsgardens.org. Visit http://www.grassrootsgardens.org for more information. Gerri Hens of Hens Honeybee Farm will present information on the importance of insects in our environment at the meeting of Willow Ridge Garden Club at Zion United Church of Christ, 15 Koenig Circle at the corner of Parker, Tonawanda. Guests are welcome. The Orchard Park Garden Club will hold its regular membership meeting at the Orchard Park Presbyterian Church,4369 S. Buffalo St., Orchard Park. Sign-ins will be at 11:30 a.m.; refreshments, noon, and the program and business meeting at 12:30 p.m. The program is a gardening and designing “Treasurers” auction — Your junk is our treasure– with Janet Schram, auctioneer. Art classes for kids will be held at the Buffalo and Erie County Botanical Gardens, 2655 South Park Avenue, Buffalo. What better way for a child to express him or herself than through artistic creation! These multi-medium classes are for kids ages 5 to 15. An art work will be completed at each class. All supplies are provided. The classes are taught by Joan Saba, professional artist and teacher. For Botanical Gardens members and non-members, the cost is $30 per series or $11 per class. For more information, go to the Botanical Gardens website or call 827-1584, ext. 291. Adult watercolor classes will be held at the Buffalo and Erie County Botanical Gardens, 2655 South Park Avenue, Buffalo. You don’t need a smock or a beret, both novice and veteran artists are welcome! The classes are taught by Joan Saba, professional artist and teacher. For Botanical Gardens members, the cost is $58 per series or $16 per class; for non-members, the cost is $64 per series or $17 per class. For more information, go to the Botanical Gardens website or call 827-1584, ext. 291. Bonnie Matteson will demonstrate Carolina snowflakes at the meeting of the Silver Creek Hanover Garden Club at the First Baptist Church, 32 Main St., Silver Creek. The fee is $5 per person. RSVP to 934-7608. Join Grassroots Gardens of Buffalo and the Urban Roots Community Garden Center Cooperative at the Grassroots Gardens office at Tri-Main, Suite 408, 2495 Main Street, Buffalo, for their 2013 Fall Workshop Series. This week’s Native Plants Workshop will be presented by Beaufort Willbern. Workshops are free to participants, however registration is required. To register, please call 783-9653 or e-mail programs@grassrootsgardens.org. Visit http://www.grassrootsgardens.org for more information. The Western New York Rose Society will meet at St. Stephens-Bethlehem United Church of Christ, 750 Wehrle Drive near Union Road, Williamsville. The topic will be winterizing your rose garden. Join Grassroots Gardens of Buffalo and the Urban Roots Community Garden Center Cooperative at the Grassroots Gardens office at Tri-Main, Suite 408, 2495 Main Street, Buffalo, for their 2013 Fall Workshop Series. This week’s Composting Workshop will be presented by Nicole Dionne. Workshops are free to participants, however registration is required. To register, please call 783-9653 or e-mail programs@grassrootsgardens.org. Visit http://www.grassrootsgardens.org for more information. Join horticulturist David Clark for entertaining garden education in the Administration Building at the Buffalo and Erie County Botanical Gardens, 2655 South Park Avenue, Buffalo. David has a wealth of knowledge and is able to convey his subject with infectious enthusiasm. These classes are for those who just want to know more than garden basics. Series cost is $105 for Botanical Garden members and $130 for non-members; individual classes are $20 for Botanical Garden members and $25 for non-members. Go to www.buffalogardens.com for more info or call 827.1584 ext. 291. With Halloween just around the corner, bring home a fresh pumpkin filled with an arrangement of fresh and dried flowers that you make in this hands-on workshop at Opportunities Unlimited of Niagara, 2510 Niagara Falls Blvd. (between Sy and Witmer Roads) in Wheatfield. The class fee of $25 includes step-by-step instructions and all materials. No experience is necessary. Groups are welcome. RSVP by Oct. 24 by purchasing online or calling 504-2617, ext. 244. Proceeds from all floral sales, classes and events benefit the Niagara Floral Center and Greenhouse at Opportunities Unlimited of Niagara, which offers training and horticulture therapy to people with intellectual and other developmental disabilities. Sorry, no refunds. Join horticulturist David Clark for entertaining garden education in the Administration Building at the Buffalo and Erie County Botanical Gardens, 2655 South Park Avenue, Buffalo. David has a wealth of knowledge and is able to convey his subject with infectious enthusiasm. These classes are for those who just want to know more than garden basics. Series cost is $105 for Botanical Garden members and $130 for non-members; individual classes are $20 for Botanical Garden members and $25 for non-members. Go to www.buffalogardens.com for more info or call 827-1584 ext. 291. Pre-orders are due for the Thanksgiving Floral Sale held by Opportunities Unlimited of Niagara. Pick-up will be on Nov. 27 at 2510 Niagara Falls Blvd. (between Witmer and Sy Roads), Wheatfield, or at 107 Heath Street, (just inside the city limits off of Route 31), Lockport. Visa, MasterCard and Discover credit cards are now accepted. Order online or call 504-2617, ext. 244. Call 297-6400 for a brochure.The sale supports Opportunities Unlimited of Niagara, a full-service horticulture therapy and vocational training program for individuals with intellectual and other developmental disabilities. Pre-orders are due for the sale of holiday poinsettias, wreaths and more held by Opportunities Unlimited of Niagara. Pick-up will be on Dec. 6 and 7 at 2510 Niagara Falls Blvd. (between Witmer and Sy Roads), Wheatfield, or Dec. 6 at 107 Heath Street, (just inside the city limits off of Route 31), Lockport. Visa, MasterCard and Discover credit cards are now accepted. Order online or call 504-2617, ext. 244. Call 297-6400 for a brochure.The sale supports Opportunities Unlimited of Niagara, a full-service horticulture therapy and vocational training program for individuals with intellectual and other developmental disabilities. The District 8 Federated Garden Club of NYS will hold a Glitz n’ Glitter Luncheon, Fashion Show & Floral Show Club Competition at Michael’s Banquet Facility, 4885 Southwestern Blvd., Hamburg. The event will include a gift basket raffle & basket of cheer. Fashions will be by the Jacqueline Shoppe, Williamsville. The donation is $25 and tickets are prepay only. For tickets please call Alice at 662-6997 or Mary Fran at 983-3764. Deanna Borello will demonstrate how to make a topiary at the meeting of the Silver Creek Hanover Garden Club at First Baptist Church, 32 Main St., Silver Creek. The event is free for members and $10 for non-members. RSVP to 934-7608. The Western New York Rose Society will meet at St. Stephens-Bethlehem United Church of Christ, 750 Wehrle Drive near Union Road, Williamsville. The topic will be preparing for next year. The Kenmore Garden Club’s Christmas luncheon will take place at Rizotto Ristorante, 930 Maple Rd, Amherst. Reservations are due by December 2. For more information call Norine at 876-0742. The Western New York Rose Society will meet at St. Stephens-Bethlehem United Church of Christ, 750 Wehrle Drive near Union Road, Williamsville. The group will hold a holiday party. Create one of the traditional beauties of the holiday season — a unique table top tree with fresh greens and holiday trim in this hands-on workshop at Opportunities Unlimited of Niagara, 2510 Niagara Falls Blvd. (between Sy and Witmer Roads) in Wheatfield. The class fee of $30 includes step-by-step instructions and all materials. No experience is necessary. Groups are welcome. RSVP by Dec. 3 by purchasing online or calling 504-2617, ext. 244. Proceeds from all floral sales, classes and events benefit the Niagara Floral Center and Greenhouse at Opportunities Unlimited of Niagara, which offers training and horticulture therapy to people with intellectual and other developmental disabilities. Sorry, no refunds. The deadline is Dec. 31 for entries for the digital photo contest being held by the Buffalo and Erie County Botanical Gardens. Find more information and the entry form here. Join horticulturist David Clark for entertaining garden education in the Administration Building at the Buffalo and Erie County Botanical Gardens, 2655 South Park Avenue, Buffalo. David has a wealth of knowledge and is able to convey his subject with infectious enthusiasm. These classes are for those who just want to know more than garden basics. Series cost is $105 for Botanical Garden members and $130 for non-members, individual classes are $20 for Botanical Garden members and $25 for non-members. Go to www.buffalogardens.com for more info or call 827-1584 ext. 291. The Kenmore Garden Club will meet in the Kenmore United Methodist Church, 32 Landers Rd., corner of Delaware Rd., Kenmore. Garden club member Maryann Jumper will give a PowerPoint presentation on the Buchard Gardens of Victoria, British Columbia. Join horticulturist David Clark for entertaining garden education in the Administration Building at the Buffalo and Erie County Botanical Gardens, 2655 South Park Avenue, Buffalo. David has a wealth of knowledge and is able to convey his subject with infectious enthusiasm. These classes are for those who just want to know more than garden basics. Series cost is $105 for Botanical Garden members and $130 for non-members; individual classes are $20 for Botanical Garden members and $25 for non-members. Go to www.buffalogardens.com for more info or cal 827-1584 ext. 291. 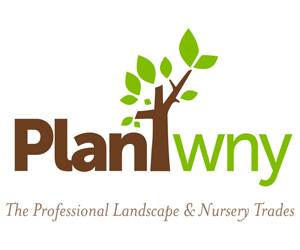 Plantasia, Western New York’s Premier garden and landscape show, will begin with a preview night on Wednesday, March 19, and continue through Sunday, March 23, 2014 at the at the Fairgrounds Event Center and Expo Hall, 5820 South Park Avenue, Hamburg. We’ll share more details as they become available. A Cherry Blossom Festival will take place in the Japanese Garden in Delaware Park, Buffalo. You can get to the Japanese Garden from the parking lot at the Buffalo and Erie County Historical Society, Elmwood Avenue and Nottingham Terrace, Buffalo. There’s always plenty of parking and parking is free. Events will include music, photography, entertainment, puppets and a Cherry blossom Ball. Ann MacClellan, an internationally known expert and author on Cherry Blossoms, has been invited to be the keynote speaker. More details to come. 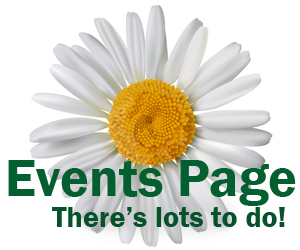 We post events for free for Western New York nonprofit organizations and for our advertisers. You can e-mail the information to me at Connie@BuffaloNiagaraGardening.com. Please make sure to include the address of the place where you are meeting; people from other towns may not know where a community center or church is located without a street address. Please tell me what the event is, the time, day, date, place and address. Optional: If you have someone who is willing to respond to questions about the event from our readers, include a phone number or e-mail address to be included in the post. Include other information that is relevant to the event. Please send information only for events that are open to the public. You don’t have to wait to send us your information; you may send us all of your dates for the coming year at one time if you like. We try to post the information as soon as we get it. We publish the magazine on Tuesdays, so make sure you get an event to us before the Monday preceding your event.